The renovation of the historic building began in the fall of 2015 by the Grand Theater Foundation. This resulted in the building being brought back to its original form, highlighting many historical and artistic aspects. The renovation revealed many hidden gems within the pottery studio. 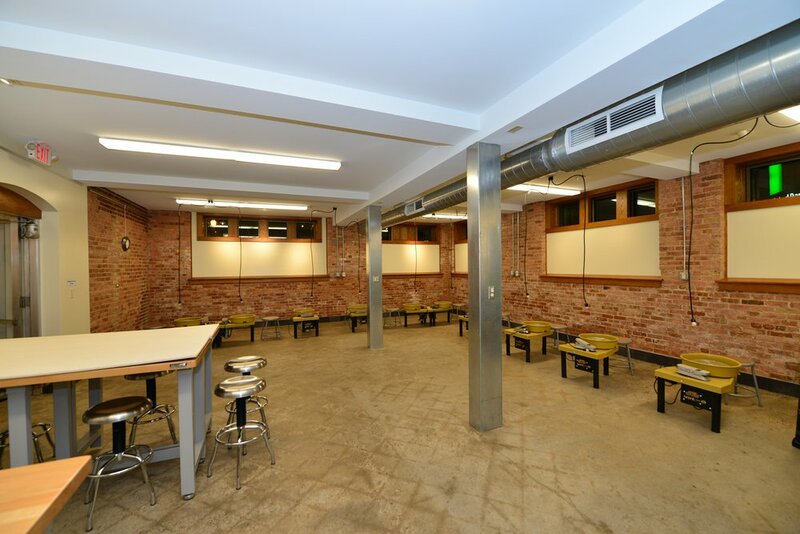 The exposed brick walls and steel HV/AC units and pillars give the studio an urban feel. The new open floor concept has allowed for the pottery wheels to be arranged along the exterior of the studio. The CVA is looking forward to scheduling classes for children and adults! The CVA received support for pottery studio equipment from community members and from the Marvin & Ruth (Rudie) Schuette Fund of the Community Foundation of North Central Wisconsin. The pottery studio has been enhanced with moveable work tables, pottery wheels, floor drain, storage units & shelves, data, walker system, lighting, and more! 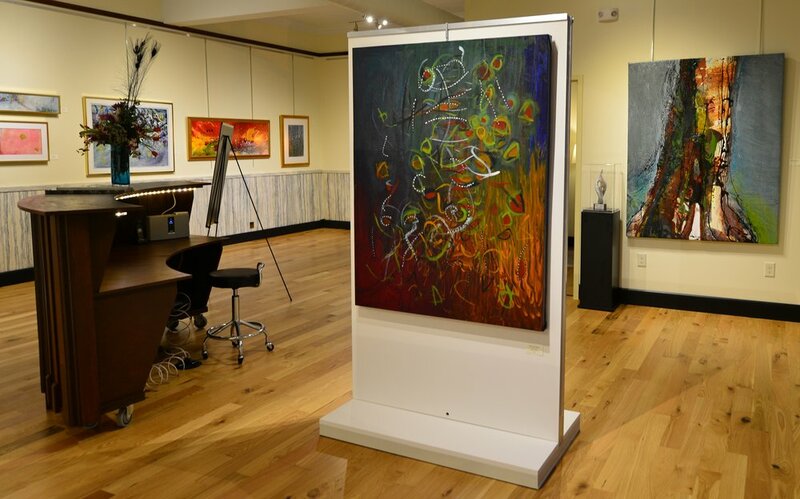 The Skylight Gallery is a new exhibit venue for the Center for the Visual Arts. During the historic building renovation a skylight was revealed within the Studio Room hallway along with the original wood floor. The Vault Gallery is a new exhibit venue for the Center for the Visual Arts. During the historic building renovation, the CVA relocated the Gift Shop to the Third Street Lifestyle Center in Washington Square. The main floor of the building had been transformed into a NEW Gallery. The CVA would like to thank and recognize the B.A. & Esther Greenheck Foundation for their support of the Vault Gallery. 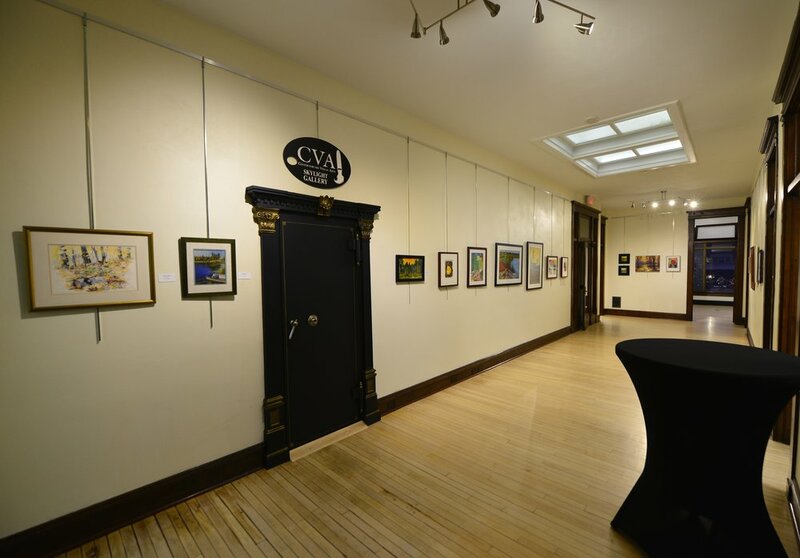 The CVA received grant and community support to enhance the gallery with moveable exhibit walls, walker system, lighting, reception desk, data, storage units & shelves, kitchen appliances, and more! The renovation has allowed for the Education Studio Room to be expanded and enhanced with additional natural light. The CVA is looking forward to scheduling classes and workshops for children and adults! The CVA would like to thank and recognize the Dudley Foundation for their support of the Education Studio Room. The CVA received grant and community support to enhance the studio with tables, walker system, lighting, data, ceiling projector, storage units & shelves, table top easels, cameras, and more!